CS Automation designs, develops and manufactures special purpose machines and automated systems to meet the needs of a variety of industries, from stand-alone machines to complete production lines. Automotive, Aerospace, Electronic, Medical, Semiconductor, Pharmaceutical, Cosmetics and High-Tech are just some of the industries for which we provide solutions. Whatever your application, contact us to discuss your specific requirements. The majority of design work is implemented using 3D CAD modelling. 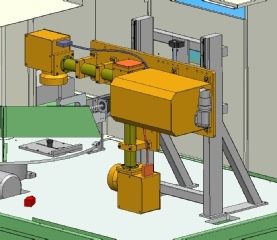 Following design approval, CS Automation will begin build and test culminating with FAT and SAT.